The rules will allow for foreign tax credit with all countries with which India has a double tax avoidance agreement as well as tax paid by Indian residents in other specified countries. The draft rules have also proposed that the credit will be available to the resident assessee in the year in which the income has been taxed or assessed in India. Further, the credit will be calculated separately for each source of income and from each country. The amount of credit available will be lower of the tax payable under the Income Tax Act on such income and the foreign tax already paid and will be calculated based on the conversion rate on the day the foreign tax was paid. 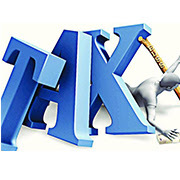 Taxpayers will also have to furnish documentary evidence for availing the credit including a certificate for the tax department of the foreign company, acknowledgement of online tax payment or bank counter foil and a declaration that the amount is not under any dispute. Cess and surcharges in addition to tax will also be creditable and it will be available against MAT liability too.